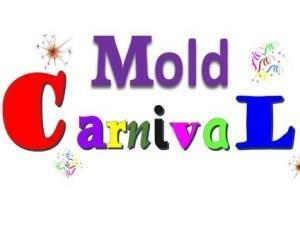 Mold Carnival - one of the biggest and some say, best carnivals around, attracting over 6,000 visitors each year. On carnival day we have a host of amazing entertainment, including special celebrity guests, previous years’ guests have included X Factor and Britain’s Got Talent finalists, Big Brother housemates, famous lookalikes and many more, along with musical performances and the grand final of Mold’s Got Talent (our previous winner of MGT is now staring in Dance Mums on Sky Living). Also throughout the day a variety of dance & other performances on our community stage (over 400 dancers took part last year), funfair rides and stalls. Not forgetting our very comical Mascot Race which sees a variety of mascots from Lions to Smurfs battling it out to win the race. All in all, Mold Carnival is a fantastic day with something for everyone, bringing the whole community of Mold and the surrounding areas together for a spectacular FREE family day.